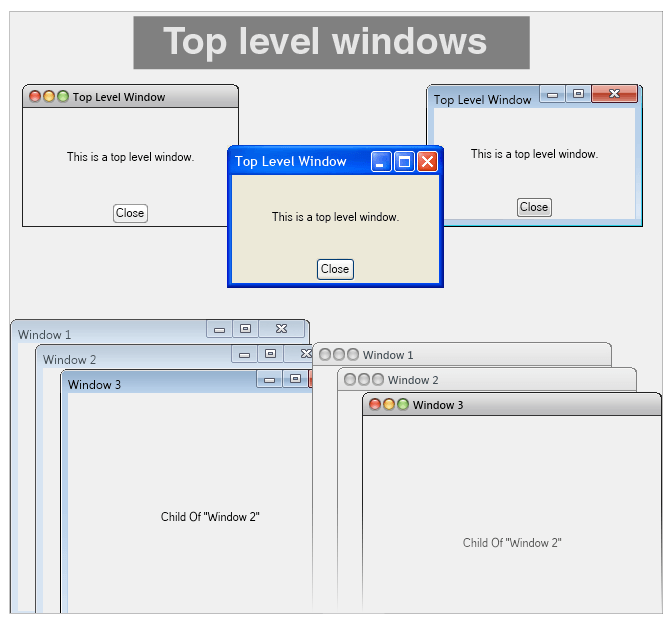 Start developing enterprise level Windows applications with NOV WinForms UI Controls! The NOV WinForms controls are styled with CSS and will provide the latest GUI standards and technologies to your desktop applications. When it comes to developing enterprise level, visually stunning and immersive Windows applications, the NOV UI Framework will do the job right. NOV comes with WinForm Example Solution including hundreds of examples with source code. You can integrate NOV WinForms UI Controls to existing Windows Forms application. It will help with your desktop application development, whether you are working on a new or extending an existing WinForm project. The NOV Framework will not only help with your WinForm application development, it will also allow you to start with your cross-platform .NET development and target multiple platforms and devices. The WinForms Ribbon is a widget that lets developers easily enrich their WinForms applications with Microsoft Office-like Ribbon UI. 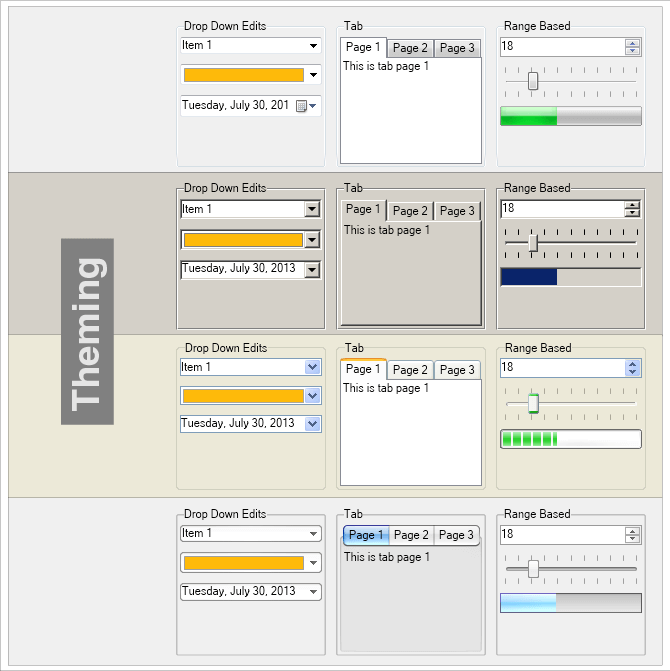 NOV WinForms Ribbon is fully customizable and scales its child widgets automatically based on the available area. The resizing of the Ribbon is fully customizable as well. 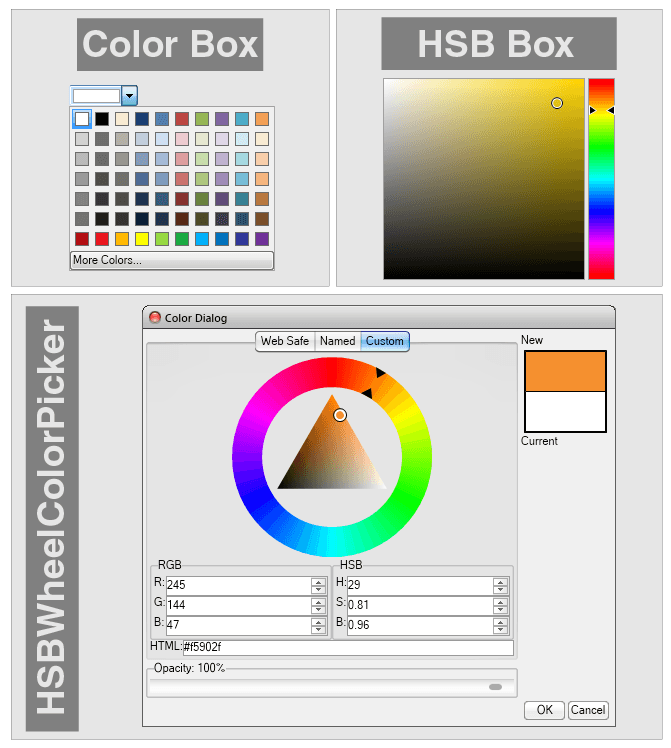 The WinForms Color pickers are widgets that allow the user pick a color by modifying one or all of its color components through a visual interface. 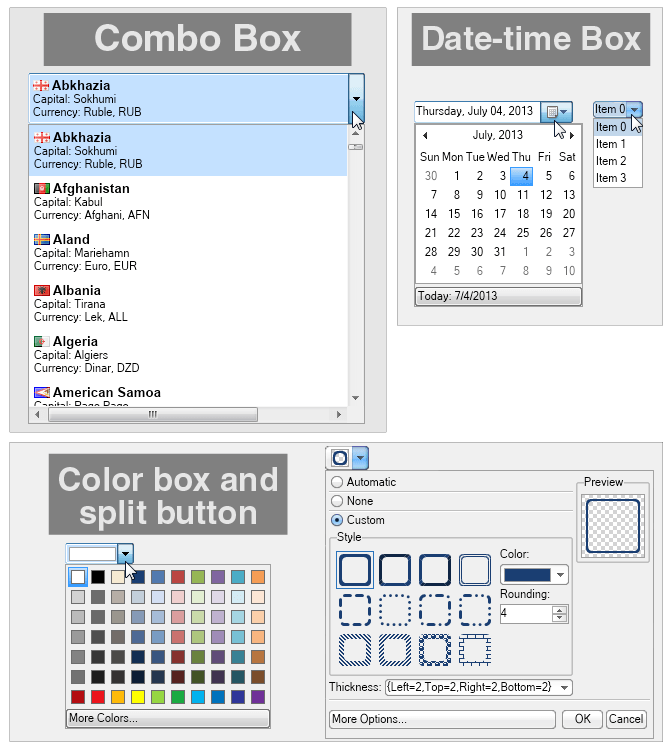 The WinForms Container widgets are used to contain other widgets and provide different adorner features to their content. 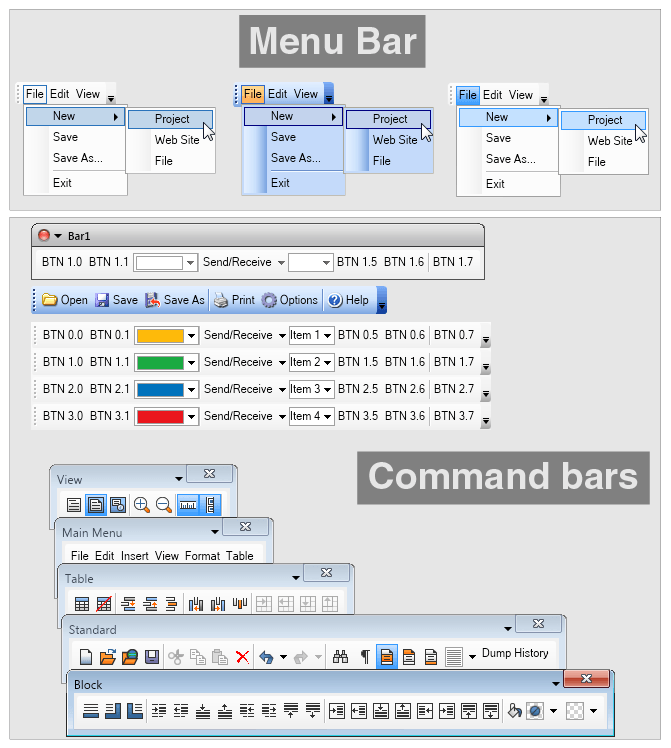 The WinForms layout panels are used to arrange content. The layout panels included in NOV have unique features that are a product of our long term dedication to automatic layouts. 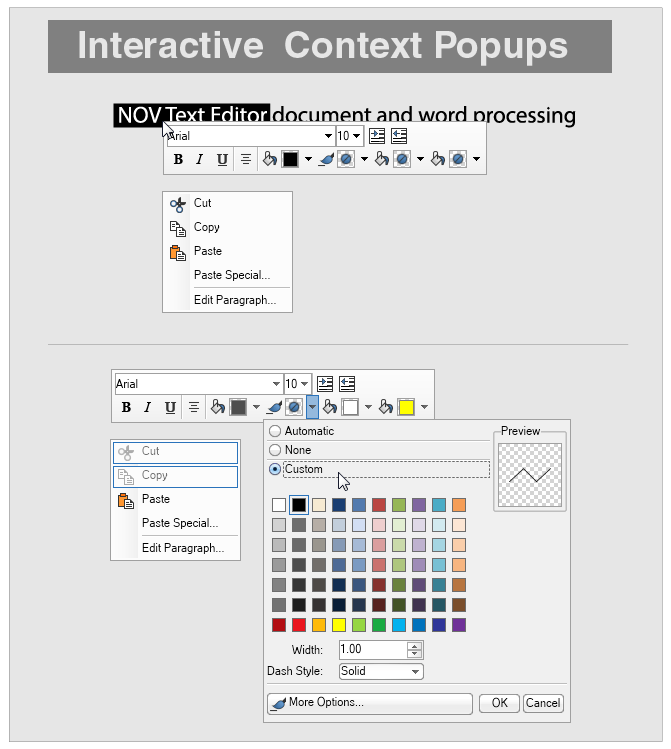 The NOV WinForms Label and WinForms Text Box widgets allow for the visualization and editing of Unicode text. They are based on our proprietary managed Typography and as such are the only Label and Text Box in the .NET world that can guarantee you 100% identical text quality and speed in all environments. 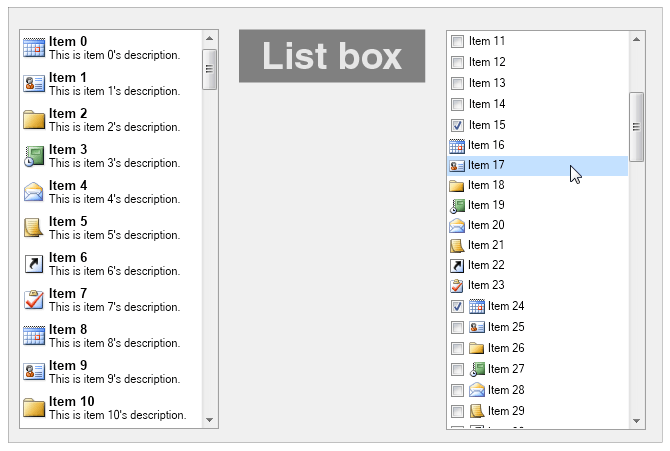 The WinForms List Box is used to present the user with a list of items he can choose from. 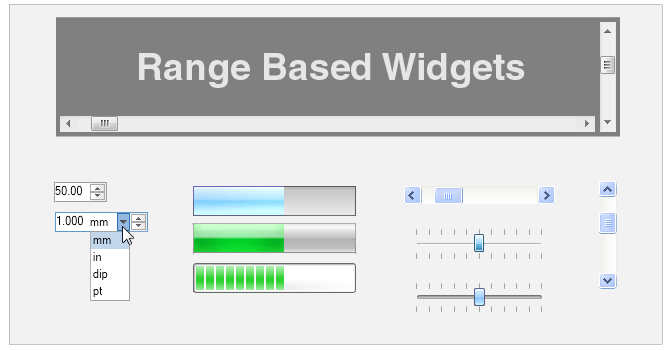 The items of the NOV WinForms List Box can be any other widgets. Supported are single and multiple selection modes. 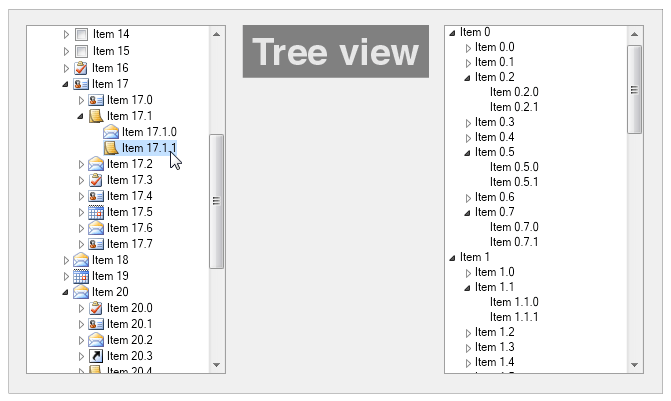 The WinForms Tree View is used to visualize a tree hierarchy. Users can navigate the hierarchy visually by expanding and collapsing certain tree branches. 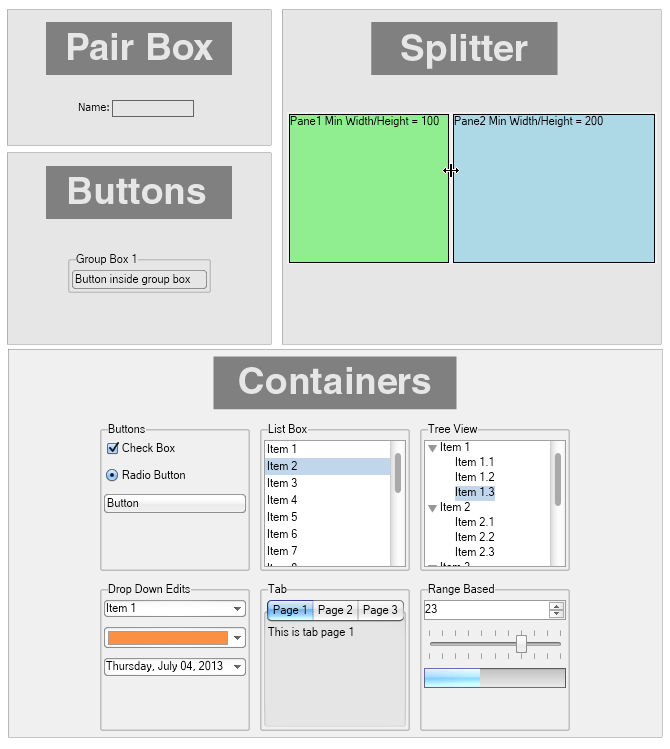 The items of the NOV WinForms Tree View can be any other widgets. Borders – an implementation of the W3C borders specification, with many additional enhancements. Commanding – an extensive framework for implementing diverse commanding logic in Enterprise applications. Tooltips – virtualized support for tooltips with many advanced features. Cursors – virtualized support for cursors. Clipboard – virtualized support for clipboard. 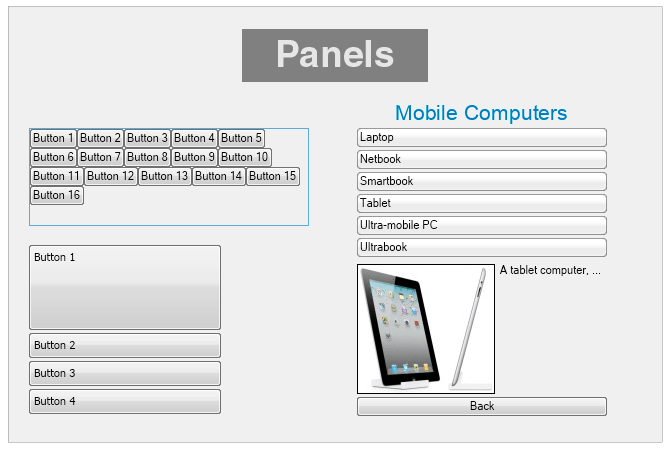 Drag and Drop– virtualized support for drag and drop.